Information Technology is arguably now the main determinant of success, and the key differentiator, in almost every industry. Business success depends on getting it right, and the capability of the IT function is critical. We work with businesses to review their IT capabilities – people, process and technology – and ensure they are set up for success. How will Value From Technology Services help you? Technology now infuses every aspect of business, to the point where it’s no longer clear where technology-related responsibilities lie. Businesses are struggling to keep up with the pace of change; Does technology drive business strategy, or vice versa? Do we need a Chief Data Officer as well as a CIO? Who reports to whom? Managing the pace of the big shifts; from system to service, from in-house to cloud, from waterfall to agile, from separate Develop>Test>Service to DevOps, etc. We assess capabilities in respect of current technologies and emerging trends, and – where necessary – re-align or transform the IT function to enable it to meet the needs of the business, and harness the best of new technology. Business success depends on getting it right, and the capability of the IT function is critical. We work with businesses to review their IT capabilities – people, process and technology – and ensure they are set up for success. We assess capabilities in respect of current technologies and emerging trends, and – where necessary – re-align or transform the IT function to enable it to meet the needs of the business, and harness the best of new technology. Service Offerings at B2E Consulting are supported by our community of over 20,000 high calibre, expert consultants, many with Technology experience. Our scale means that we are able to build teams of genuine Technology experts, usually with more than 10 years relevant experience, to help support client initiatives and ensure we fully understand the client’s goals, content and context. We partner closely with the client to ensure we deliver quality solutions and value for money. Simon Berkeley is a senior Programme Director / Manager with extensive experience in business transformation, and an operations background. He is highly skilled in delivering complex programmes and project portfolios that deliver real changes in operational business processes, accountabilities and responsibilities, performance management, behaviours and ways of working to achieve measurable business benefits. 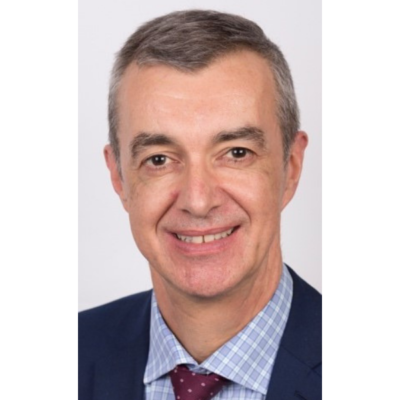 He specialises in technology-enabled transformation, providing strategic advice, designing Target Operating Models, and designing and leading transformation programmes. A certified SFIA practitioner, he usually works at the interface between Operations and IT, to ensure mutual understanding and shared responsibility for achieving business goals. He has led teams of consultants, and teams drawn from within client organisations, to deliver substantial benefits to the bottom line in a number of leading multinationals.